Last weekend, East Sussex Bentley Wildfowl and Motor Museum played host to the sixth year of Brainchild Festival. More than 300 artists shared their skills and ideas, creating a stellar line up of familiar and emerging talents ranging from performances and workshops to talks and, as part of its peer-to-peer festival vibe, collaborating with the Brainchild community. The festival is small, but growing with a capacity of 2,000. And it’s unique in that one in three people in attendance are, in part, responsible for putting the festival together. In short: no egos, pure vibes across the show. 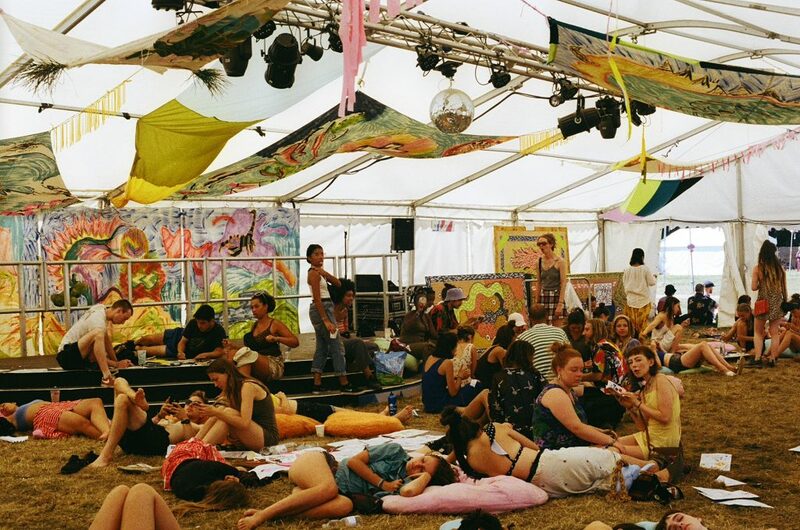 Alongside the Brainstage (main stage), The Forum, and Kite Bar (previously known as the Steez Café), this year’s new addition was the Lemon Lounge, built in collaboration with Suma Sounds and Tangy Events. Collaborative relationships aren’t the only paradigm at the core of Brainchild. Sustainability is at the forefront – most visibly via no single-use cups. Instead, the festival offered reusable cups with a deposit scheme to encourage people to keep hold of them. Attendees were given £1 for the return of each cup, an initiative that also encourages you to clean up after yourself (and others) at the end of your stay. From the moment you step onto the festival site you can see with your own eyes that there are no corporate agendas. Tickets are affordable, with early birds starting at £70 and £90 at final release, which, in this climate, is almost unheard of for a three-day festival. At such an early stage in a festival’s life span, affordability is a difficult thing to retain but they demonstrate it can truly be done. The Dylema Collective is a poetry and music project which combines elements of contemporary jazz and neo soul with rhythm and elements of spoken word. Led by Dylema, the group started off at the Kitebar quietly self-assured, tackling feminist thought, racial issues, and unashamedly delving into matters of the heart. One of our favorite moments was when they performed ‘What If A Black Girl Knew’ and brought all the black girl magic from the tent to the stage to take up space. This was black girl magic personified! Dylema’s smoky tones were somewhat akin to Nina Simone and by the end of their show, the tent was full and people were on their feet. Black girl magic!!!! 😊😊😊 #whatifablackgirlknew LiVE. Band leader, producer and composer Ahnansé led a jam in the Steez Cafée which –– no word of a lie –– ended up vibing its way out of the tent and into the main field. Steam Down is a weekly jam, run by Ahnansé, which is a sonic exploration of afrofuturism through live music and it has been steadily building traction lately in south east London. Brainchild invited Ahnansé down to extend this into the festival space. It started off with vocals from Touching Bass’ Alex Rita and moved in directions you could never have predicted. They performed UK anthems like Skepta’s ‘Shutdown’ between unrehearsed jazz-infused improvisation and afrobeat grooves. The strong bond between the performers is half the performance and it was a pleasure to be invited into this bubble of musicians conversing in a language I never quite expected to understand. It’s been a whirlwind year for presenter one-third of Boko! Boko!. In 2018, she’s played at Gilles Peterson’s Worldwide Festival in Sete, taken a trip to Ghana, been doing the rounds in regional parts of the UK, and is due to hit Morocco and Croatia next. Her show on Worldwide FM has been going from strength to strength and it’s been a pleasure to witness! Tash took centre stage at The Shack and delivered afro rhythms from the motherland and threw in some funky edits for good measure. Tash LC is fast becoming a formidable DJ with an extensive knowledge of up and coming producers and DJs from across the globe – and she gave them to us on a plate. This year we were lucky enough to be a part of the 300 artists involved; we delivered our second ever #selfcaresunday live workshop – an extension of our online series, led by Lifestyle Editor Niellah Arboine and Assistant Arts & Culture editor Mariel NO. We also had a lovely turnout of people wanting to get their hands stuck in for a meditative experience of self care through art. Some members of our illustration team, Farnaz Zare, Nadia Akingbule, and colouring-in artist Natalie Cooper, kindly created some artwork for people to add a splash of colour to; we got sticky with some slime making; we were joined by Jessica Murrain who led a poetry workshop, and our Love Letter wall was filled with personal love letters to ourselves and one another. All in all, it was a pleasure to be in attendance at Brainchild this year. 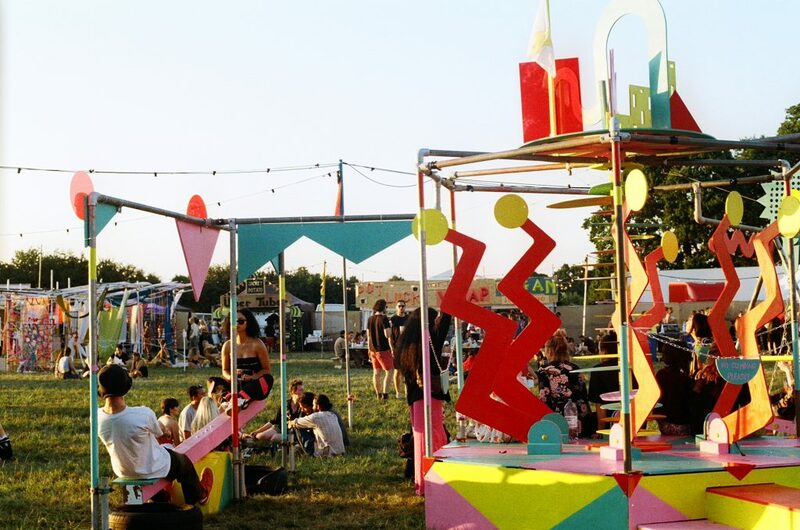 There were so many more highlights including Touching Bass, Oscar Jerome, Resisdance, Nine8 Collective, the artists producing the installations present throughout the site, and many, many more. If you’re looking for a festival with a real community vibe filled with respect for people’s craft and a willingness to get involved, I implore you to check it out next year.